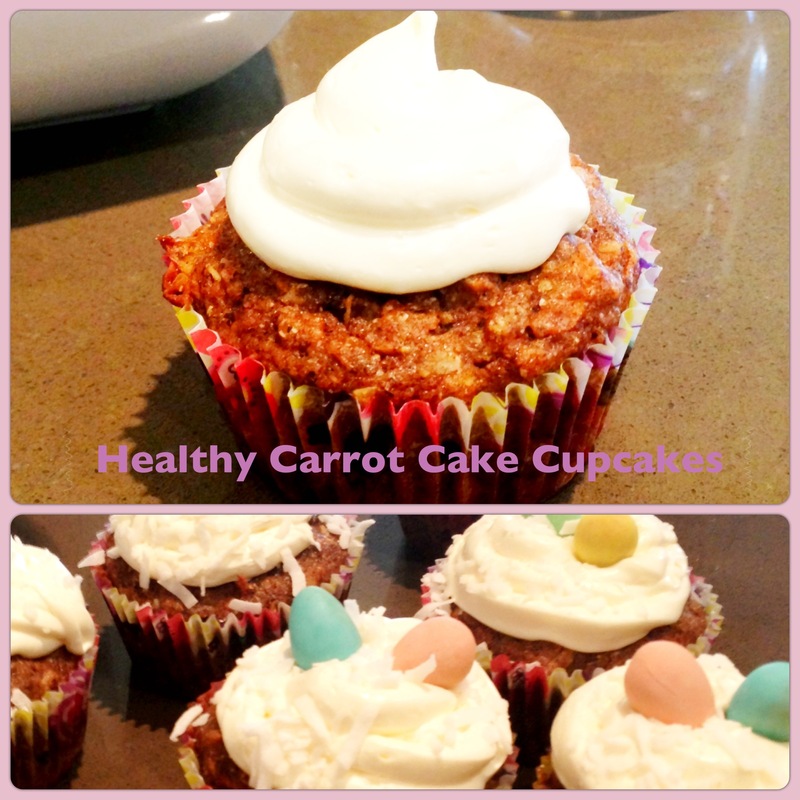 These Carrot Cake Cupcakes are a great treat for Easter or any occasion! I made these last year in Nashville and they were a hit. 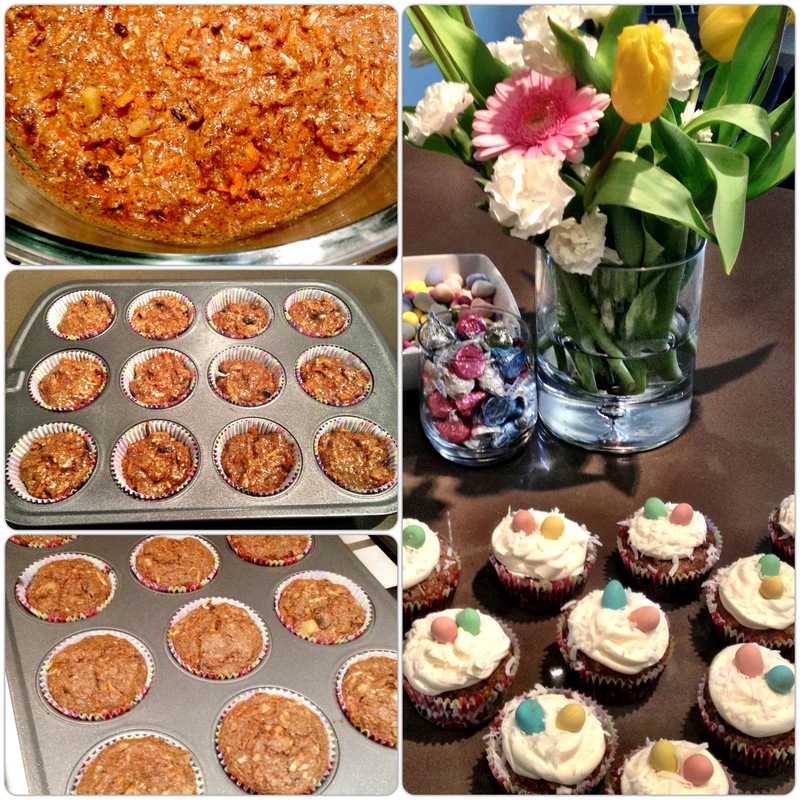 I am hosting Easter dinner at our house this weekend and made these along with my Berry Crisp (Brian’s fav). Thought I’d make a couple dessert’s considering I have a few huge, hungry hockey players joining us. For this recipe the frosting is completely optional…but what is a cupcake without frosting?! 😉 Hope everyone enjoys their Easter weekend! Preheat the oven to 350 F. Line 12 muffin cups with cupcake liners. Sift together the flours, baking soda and cinnamon. In another large bowl beat together the coconut oil, eggs, vanilla and sugar until well combined. Add the carrots, applesauce and pineapple. Add the dry ingredients and mix until combined. Stir in the walnuts, raisins and coconut. Divide the batter among the muffin cups and bake about 20 minutes, or until a toothpick comes out clean. Transfer to a wire rack to cool completely. Optional Frosting: With an electric mixer, beat together the cream cheese, confectioners’ sugar and lemon zest until smooth and creamy. Frost the cooled cupcakes and sprinkle with shredded coconut. I also topped mine with Cadbury Mini Eggs. Store leftovers in an airtight container in the refrigerator. Hey guys! So a lot has happened since my last post. We are now in Calgary! Couldn’t be happier…so much to love about this city, the team and even more happy to be back in Canada. The last few weeks have been pretty high on the stress levels, but feeling settled in now. One of the first things I did when I arrived was find a Gym, Bikram Studio and I also found a cycle studio called ONE Cycle with dim lights, killer music and disco ball. Amazing. The second thing was to find some good Organic grocery stores. Still pretty suprised Calgary doesn’t have a Whole Foods, but I have found some great alternatives. Calgary is also full of some great trails, dog parks and lots of outdoor activities…loving it. 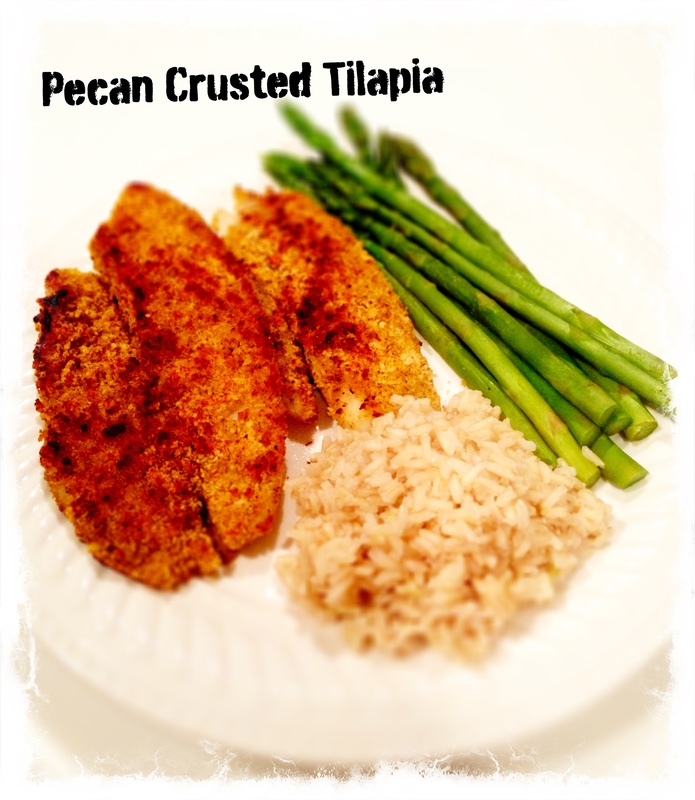 Combine oats, pecans, salt, garlic powder, pepper in a shallow dish. Pour almond milk in a medium bowl; place flour in a shallow dish. Dredge 1 fillet in flour. Dip in almond milk; dredge in oat/pecan mixture. Repeat procedure with remaining fillets, flour, almond milk, and oat/pecan mixture. Heat 1 1/2 teaspoons olive oil in a large nonstick skillet over medium-high heat. 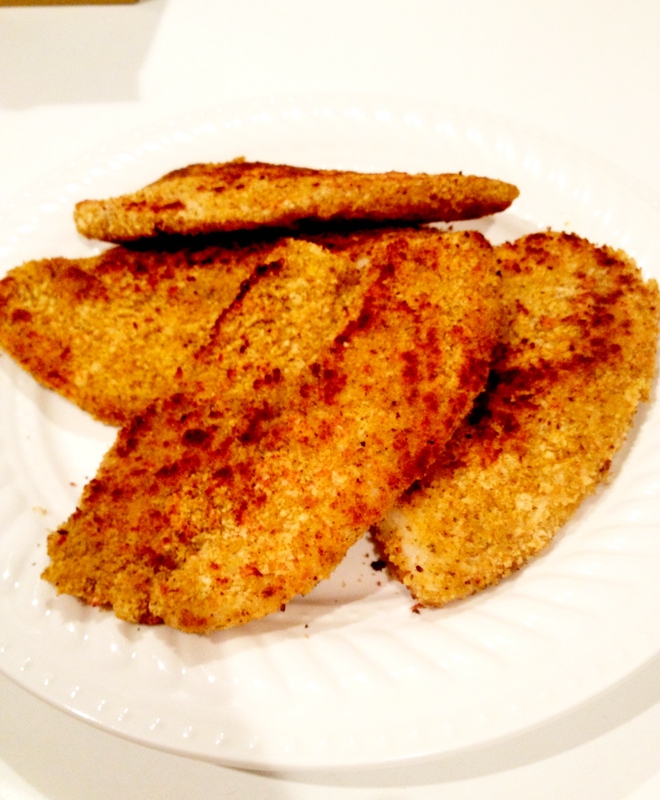 Add 2 fillets; cook 3 minutes on each side or until fish flakes easily when tested with a fork. Repeat procedure with remaining oil and fillets. Serve with lemon wedges and throw on a bit of hot sauce for an extra kick!